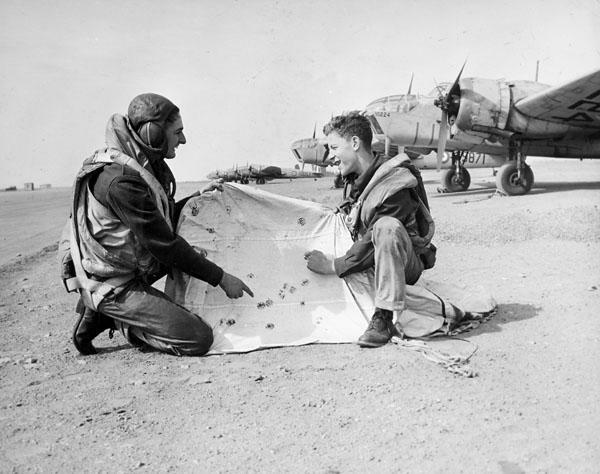 Counting the hits: two unidentified aircrew examining a target drogue at No. 10 Bombing and Gunnery School, RCAF. Mount Pleasant, Prince Edward Island, 1944. The school’s Bristol Bolingbroke aircraft are visible in the background.